Holiday commitments have filled every weekend for the past month. This weekend, a dance competition and basketball tournament. Why do all these activities seem to happen at once? I’d like to go back to church next Sunday, but I would feel totally lost. I have no idea what’s been going on there. It would be easier just to stay home and get caught up on laundry. Maybe we’ll try again the following Sunday. Does this sound familiar? During these hectic times it seems like the calendar is working against us. We know the value of raising our families to love church. We want our kids to enjoy the sense of belonging only church membership can bring. So how did this happen? 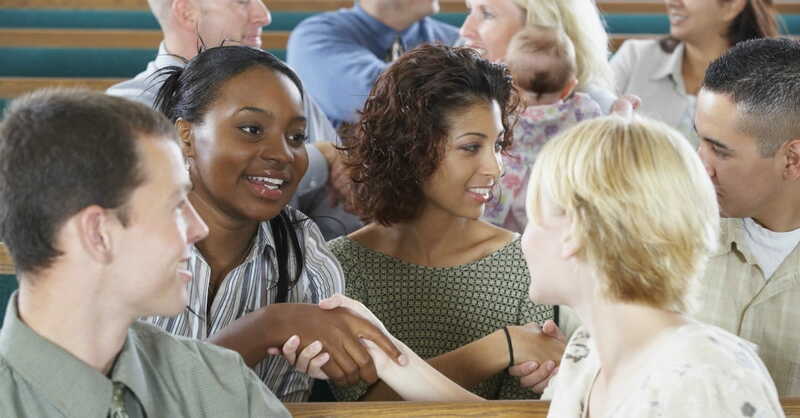 How could we let a busy schedule interrupt our church attendance? First of all, let’s not be too hard on ourselves. Every family endures a busy season once in awhile. It’s how we handle the busyness that determines our next steps. Knowing we are not alone in this struggle will give us grace while we put a plan in place. The next time a full calendar threatens to pull us away from church life, we will be ready. Allow me to share three steps that will help us step back into church involvement after a busy season. 1. Find a bus buddy. Do you remember attending field trips in elementary school? What fun times those were! The teacher would give this directive every time we stepped on the bus, “Find a bus buddy.” My bus buddy served as my accountability partner. She would make sure I got back on that bus. If I wandered away, my bus buddy wouldn’t let the driver leave without me. The bus buddy system ensured everyone stayed together and no one was left behind. In this same way, enlisting the help of a friend at church will strengthen your ties to the group. Choose someone who also has a full schedule from time to time. She’s the one who will understand, because she’s been there. Sit down with her. Express your concerns and your desire to become bus buddies. Together the two of you can work out a strategy to keep each other informed of happenings at church. You will both reap the rewards of accountability and avoid the awkward feeling of coming back to church. 2. Believe your church family has the best intentions. Ever had someone hand you a visitor’s card at your own church? I have. There’s nothing more discouraging when you walk in the door than being asked if you’ve ever been there before. That innocent phrase can cause damage if we allow ourselves to take offense. I once attended a wonderful little church right after we moved to a new city. The friendliness of the people drew us right in. We’d been attending faithfully for about a year. One Sunday I turned to shake the hand of a lady I hadn’t seen before. I asked her, “Is this your first time with us?” With a scowl she spouted back, “I’ve been a member here for 15 years!” Oops. I could tell I’d hurt her feelings with my innocent question. Realistically, if I hadn’t met her then she was most likely experiencing a busy season. I apologized and hoped she wouldn’t let our conversation keep her from returning. We cannot allow ourselves to get offended by the words or actions of others upon our return. During time away a lot can change. New people will start coming. New activities will begin. Assume each person you encounter has the best intentions. This will keep your attitude in check your first time back after an absence. 3. Boost your level of commitment. When we find it easy to slip away from church unnoticed, that may be a sign we need to become more involved in a ministry there. Finding a place to plug in not only develops closer relationships with our fellow members, it also gives us an outlet for using our talents to help others. However, a word of caution here. Jumping into too much at once can have the opposite effect. I have been guilty in the past of getting over-excited and taking on more responsibility than I could handle at the time. This only leads to burnout. Talk to your pastor and your bus buddy. Ask them to pray with you about opportunities where you can be of service. Finding the best way for you to reestablish your commitment will keep you from getting overwhelmed. It will also help you stay connected when outside activities threaten to take over. Yes, stepping back into church involvement is difficult. The guilt we feel over missed attendance can cause distance to form between us and our church. Following this plan will ease the anxiety and make the transition simple for us and our families. So why wait until next Sunday? Instead, let’s begin taking these practical steps today. The end result will be the closeness and sense of connection we desire. “And let us consider how we may spur one another on toward love and good deeds, not giving up meeting together, as some are in the habit of doing, but encouraging one another…” (Hebrews 10:24-25). Kristine Brown is a writer, dramatist, and former English teacher. She desires to support women in their spiritual lives with practical teaching for real-life struggles. Kristine devotes her time to freelance writing and her non-profit ministry, More Than Yourself, Inc. You can read more from Kristine at www.morethanyourself.com.